Sullivan High School students this week are trying to cope with the reality that one of their own is no longer with them. Senior Tianna Jean Stockley, 18, was killed early Sunday when the sport utility vehicle she was driving on Interstate 44 near Stanton crashed and overturned. A passenger riding with her - Hunter W. Bradshaw, 18, of Belleview, Ill., who was described as a close friend - was injured in the accident. Sullivan High School Principal Jennifer Schmidt said grief counselors are at the school this week to help students cope with the tragedy. She also said an impromptu Sunday evening candlelight memorial put together by the Eagles softball team, in which Stockley was a four-year starter and all-state performer, seems to have helped tremendously. "It's been very tough, but I think the vigil helped the kids a lot," Schmidt told The Missourian late Monday morning. "I think it was a critical thing to help the students cope." The principal said the vigil was arranged by members of the SHS softball team, but as information was posted online and passed along, it grew into a community gathering. Schmidt said as many as 300 individuals attended the event conducted on the high school softball field, where the number 17, which Stockley wore on her jersey, was illuminated with candles at her shortstop position. "Students, parents and community members all showed up," Schmidt said. "The bleachers were full and people also were standing. Her coach (Ashley Crump) addressed the group and another coach led a prayer. The kids hung around for quite a while and gathered around the shortstop area afterward. According to the Missouri Highway Patrol's preliminary report, Stockley was killed when the 2003 Kia Sorento she was driving westbound on I-44 about one-tenth of a mile east of Highway W near Stanton crashed at 2:33 a.m. on Sunday, Feb. 19. The report stated Stockley lost control of the vehicle, drove it off the left side of the highway and through the cable barrier in the median, where it overturned and came to rest in the eastbound lanes of the interstate. The patrol stated Stockley was not wearing a safety belt. She was transported by ARCH helicopter to Mercy Hospital St. Louis, where she was pronounced dead at about 6 a.m.
Bradshaw suffered moderate injuries. He was transported by St. Clair Ambulance to Missouri Baptist Hospital in Sullivan. The MHP report stated Bradshaw was wearing a safety belt. "I got a call about the crash Sunday morning," Schmidt said. "I verified it through the highway patrol, and then sent an email to the staff. We decided right away to have grief counselors at the school on Monday." Schmidt said she had heard Stockley and Bradshaw had left a friend's house before the accident occurred. The principal described Stockley as "an all-American girl, who was beautiful, nice and talented." 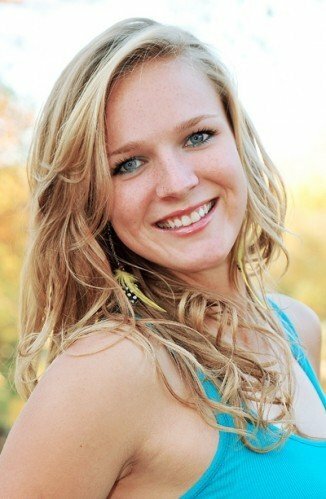 "She was a great student and a great athlete who was very competitive and driven," Schmidt said. "She was just an all-around great girl." Schmidt said Stockley's passion was softball, but she also spent time assisting special-needs students at the high school. "She had a lot going for her," Schmidt said. "She was close to the top of her class academically and had a lot of friends. She was fun-loving, and very close to her teammates." The principal said Stockley also was on the yearbook staff this year. The four-year softball letter winner was a four-year starter on the softball diamond for the Eagles. This past fall, she batted .600 with six home runs, four triples, 13 doubles, 40 RBI, 48 runs scored, 18 walks and six stolen bases. She led the Eagles to a third-place finish at the Missouri Class 3A championships. "Tianna was a leader," her coach, Ashley Crump, told The Missourian on Tuesday. "She had goals and knew what it took to reach them. She was kind and willing to help anyone. She was a wonderful teammate and friend to so many. "I will miss her laugh, sense of humor, and the countless other wonderful qualities that made her, her." St. Clair High School Athletic Director and softball coach Greg Dunigan shared some brief thoughts on Stockley and the tragedy. "It's very sad," he told The Missourian. "She was one of the top softball players who has ever come out of this area." Stockley had signed with Southeast Missouri State University to play NCAA Division I softball. "Our entire Southeast Missouri family is devastated," Southeast coach Lana Richmond said on an online story published by the Southeast Missourian. "My heart goes out to (parents) Mike and Sherry Stockley and their entire family. They are in our thoughts and prayers." Stockley was a two-time all-state shortstop who started every game of her prep career. Published information stated the Eagles posted an 82-21 record and a perfect 28-0 in conference play during the past four seasons while Stockley played. Stockley is survived by parents Michael and Sherry Stockley of Sullivan and one brother, Cullen, a sophomore baseball player for SHS. The funeral is scheduled at 7 p.m. on Thursday, Feb. 23, in the Sullivan High School Performing Arts Theater, 1073 E. Vine St. Visitation is from 4 to 7 p.m. that day inside the theater. Stockley's memorial website is at www.eatonfuneralhome.com where condolences may be sent to the family.